The Elder Scrolls: Legends from game developer Dire Wolf Digital enters the collectible card game arena with guns blazing. Available on PC, iOS, and Android, the game features cards based on the characters and lore of the original Elder Scrolls series. 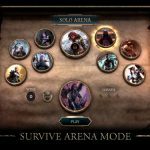 Players build decks containing 50 to 70 cards then battle it out in the arena. The goal of each battle is to reduce the opposing player’s health to zero. There are a myriad of creatures, spells, and effects to learn so it can be intimidating for beginners. 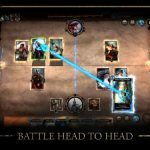 It is a good thing you can rely on our The Elder Scrolls: Legends strategy guide to help you build the ultimate deck. 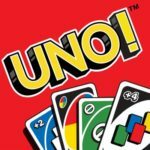 As with any CCG game, your chances of winning battles in this game is only as good as your deck. Of course, skilled players can do more with the same deck but will still ultimately be limited by the strength of the cards. Think of this as the foundation of your game. If your foundation is weak, you will still eventually fail no matter how good you are. Study the different types of cards and how they interact with each other. Don’t stuff your deck with offense cards or you will end up dead even before you can use the stronger cards you have. Balance is key in deck building. There are several quests that you can play on your own before you start battling other players. Not only do they make good practice, they also reward you with cards that you can use to build your deck. These cards may not seem much but when you are starting out, you need all the help you can get. There are two types of quests. The story quests are available any day and can give you better insight into the Elder Scrolls lore if you are not already familiar with it. The daily quests are those you can do every day but if you fail to complete them within the day, they will change and you will no longer have access to them. One twist that this game has compared to other CCGs is the concept of lanes. If you place a card on a certain lane, that card can only attack cards on the same lane. The only exception to this are cards that have skills that allow them to bypass this restriction. Use this to your advantage by placing cards strategically. If you have a weak card that you want to play, try placing it on a lane with no enemies to keep it safe. You also want to make sure you place strong cards on lanes with enemies or else they will be useless. Unlike most other CCGs, you can directly attack the enemy player using your cards without having to eliminate his cards first. This is a double-edged mechanic since the opposing player can do the same thing. Set up your cards in a way that you can survive taking a few hits so that you can aim for the player health right away. Enter the heat of battle in The Elder Scrolls: Legends! 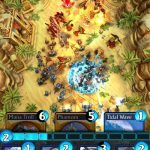 Just follow our strategy guide to build your deck and ensure victory! If you know additional tips or tricks for the game, feel free to share them with us below in the comment area!